We focus on key leadership positions: Chairman, Chief Executive Officer, Chief Financial Officer, Chief Operating Officer, Executive Director, Non-Executive Director, Advisor, Country Manager, Divisional Head and Senior Technical positions. Our broad industry coverage includes Oil and Gas, Power, Mining and Metals, Clean and Renewable Energy, Financial Services, Agriculture, Industrial Manufacturing and Building Materials. 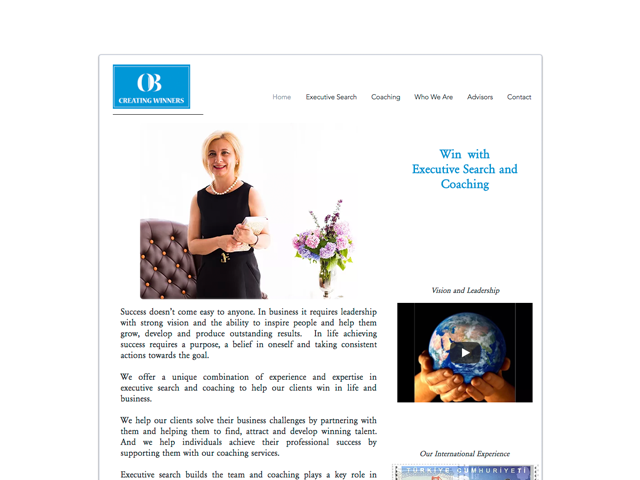 All work is personally directed by Oxana Bristowe MBA, the company Founder and Managing Director. Oxana has personally completed more than 200 Board and Senior Executive appointments. We also offer Executive Coaching in English, Russian and Ukrainian.